In the late 60s and early 70s, interest in Gaelic football began to wane in Cushendall. Organised Gaelic had begun around 1922 and was played mainly during the winter months. The club won North Anrtim League and Championship titles in the 40s and 50s. Cushendall played for many years in the All County Football championships narrowly losing to established Gaelic Football clubs such as Antrim town and Glenavy. Their last football title was won in 1963 but by the seventies, lack of interest by the clubs resulted in the North Antrim Board disbanding the North Antrim Leagues. 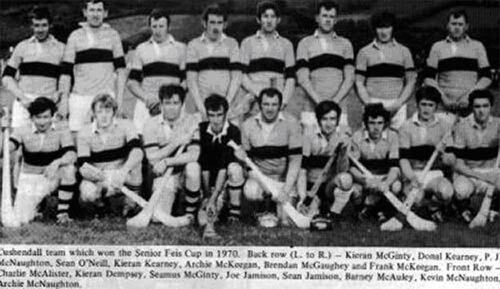 In 1973 Ruairí Óg hurling club realised that an Under 16 team was insufficient to cope with an increasing population and subsequent demand for hurling. The solution was the formation of Under 12 and Under 14 teams and sucess came quickly with the winning of the Under 12 championship in 1977. In 1979 the youth scheme was extended to include an Under 10 section playing mainly on in inter-parish basis. 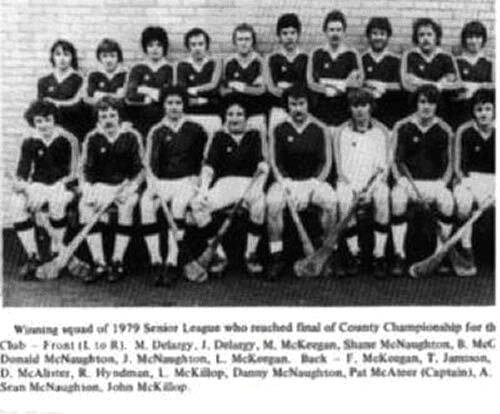 The 1970's saw the beginning of Cushendall's rise to the top of Antrim Senior Hurling. However Ballycastle halted Cushendall's progress in the '79 SHC final and indeed they went on to complete a hat-trick of wins the following year by also beating Cushendall quite easily in that final.